RP212 is rated 1.0 out of 5 by 1. What is the difference between the part numbers RP212, RP212-3, RP212MB and RP212MBS? Thanks. What handle fits this ball assembly? Does this assembly have an extension available? Does the ball assembly (RP212) include new seats and springs or must those be ordered separately? Does this ball have one hole on the other side? Hi Tina, Thank you for your interest in Delta Faucet Company products. 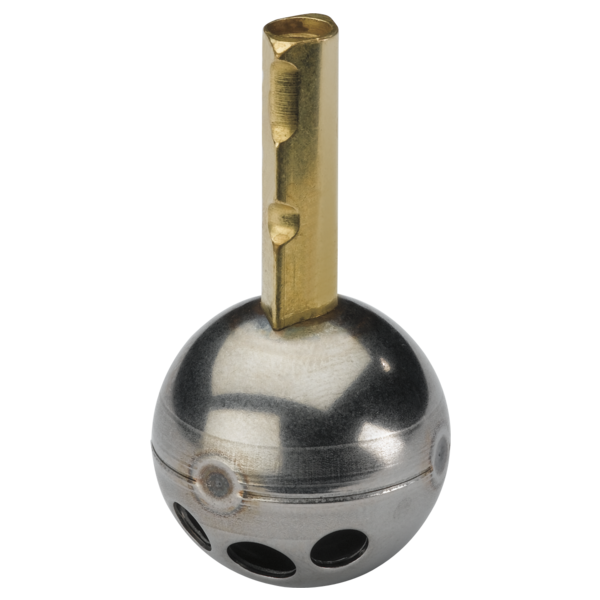 The RP212 ball assembly has three holes in it - two inlet holes and one outlet hole. is there a lever handle to replace ball on rp212? What faceplates fit this shower valve?